(NaturalNews) When the world we live in becomes infiltrated with toxins from every conceivable angle, it's not time to panic, but to become aware of how the body works and how to support the system that eliminates these unwanted agents. A strong understanding and toning of this system could easily be the most important thing to do in order to maintain a good quality of health. If not understood or taken care of, the consequences can be dire. In a healthy individual, the body's detoxification system is able to neutralize and eliminate toxins, which helps eliminate tissue damage and prevents illness. The system has two lines of defense, with specific organs preventing toxins from entering the body, while others neutralize and excrete the poisonous compounds that get through this initial line of defense. Key components of the detoxification system include the gastrointestinal barrier (including small and large intestines), lymphatic system, kidneys, bladder and other components of the urinary system as well as the skin (including the sweat glands) and the lungs. The gastrointestinal system serves as the first line of defense against toxins entering the body. When it becomes compromised, it allows other disease causing agents a place to fester, often to the point where they eventually break through the intestinal membrane and enter the bloodstream. Once the bowel is toxic, the rest of the body follows suit. At this point, undigested food particles, bacteria and other substances normally confined to the intestines escape into the bloodstream, triggering an immune system response and inflammation. If this continues, the liver, kidneys, skin and other organs involved in detoxification become overwhelmed. 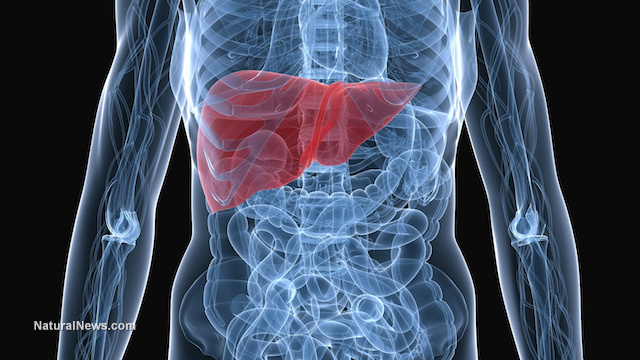 The liver bears most of the burden for eliminating toxins once they have entered the bloodstream. All foreign substances are carried to the liver to be filtered and dispatched from the body. Using enzymes and antioxidants, the liver chemically transforms toxins into harmless substances that can be excreted through the urine and one's stool. Others are eliminated through the lymphatic system, kidneys, skin and respiratory system. What happens when the detoxification system quits working properly? Toxins can overwhelm the detoxification system. This overload causes congestion in the lymphatic system, in which thickened lymph accumulates in the nodes without being emptied into the blood for removal from the body. This congestion can also cause intestinal constipation and liver dysfunction. In order to start to remedy these conditions, the detoxification system as well as ALL other areas of the body need to be properly supported. Detoxification is not as simple as buying some lemons, cayenne and maple syrup. This type of cleanse may do some good, but it may also cause harm. A proper detoxification protocol takes a holistic approach to the body due to the interrelatedness of all of the systems and parts, and how they affect each other's proper functions. Therefore, you need to be aware of how detoxification works and be wary of quick fixes. A healthy body depends on it.